Thousands of new condos, apartments, and townhomes aimed at middle-class buyers and renters could take shape across Boston along various T lines, under a new plan being floated by city officials. The Department of Neighborhood Development (DND) has filed legislation on Beacon Hill that would free up land along various sections of the Red, Orange, Blue, and Green MBTA lines for sale to developers interested in building housing for middle- and low-income residents. If passed, the bill would give state transportation officials the authority to sell the land at a discount – or below its fair market value – to developers who agree to build housing aimed at the broad middle and lower tiers of the housing market. Boston officials contend the legislation is needed because state bidding laws require public property to be sold to the highest bidder. 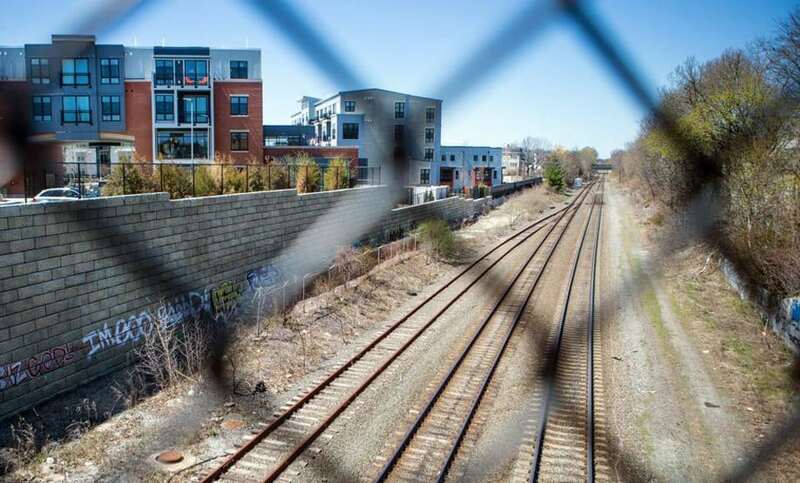 Given the high demand for buildable land in densely developed Boston, property located near T stations is likely to fetch a premium, making it more difficult for developers to build lower cost housing. “We are talking thousands of units,” said Sheila Dillon, Boston’s housing chief. “We are talking thousands of units,” Sheila Dillon, Boston’s housing chief and head of DND, said of the development potential of the state’s land near T lines and stations. The proposal comes as Mayor Marty Walsh’s administration embarks on an ambitious plan to spur construction of 53,000 new housing units by 2035 to keep up with growing demand, including 20,000 new homes and apartments for middle class residents. The push has focused on encouraging more construction in Boston’s neighborhoods as opposed to pricey downtown enclaves like the Back Bay and the Seaport, which have been dominated by new luxury apartment and condo towers. The proposed state legislation, if it were to pass, would further bolster City Hall’s efforts to spur more construction in neighborhoods like Dorchester and Jamaica Plain, Dillon said. State transportation agencies currently control significant amounts of buildable land along or near T lines, and many of those sites are considered prime real estate given their proximity to T stations. It is enough land for substantial new housing development, she said. Sponsored by Rep. Russell Holmes, a Mattapan Democrat, the bill gives Boston and other cities and towns the right to petition state officials to sell land at a discounted rate near T lines provided the property is to be used for the development of affordable or middle-class housing. Another provision would also allow surplus land near state roadways to be sold at a discount as well. Meanwhile, Boston officials are also backing a second legislative proposal that would strengthen their ability to offer tax incentives to developers interested in building middle class or affordable housing. The proposal would spare developers from paying any taxes during the first five years, usually a project’s ramp-up period. “It would allow developers to reduce their costs during construction and during rent up,” Dillon said.